The eutrophication of natural waters is a common problem. Eutrophication describes the accumulation of nutrients (especially phosphorus and nitrogen compounds) which stimulates the growth of organisms (mainly phytoplankton). This results in a lack of oxygen and ultimately in the death of living beings in the water. This study investigates the effect of stored plants next to natural waters on the eutrophication tendency. The results have shown that it is advisable to move the cut plants from the edge of the water quickly. The plant juice running out from a pile of plants was studied with the help of the five-day biochemical oxygen demand (BOD5) test. 7)Schönborn, Wilfried, Lehrbuch der Limnologie [Limnology]. Stuttgart: Schweizerbart, 2003. The BOD5 test determines the level of oxygen consumption within five days. The less oxygen consumed, the higher the water quality (or the less likely it is being burdened with organic substances). A high level of oxygen consumption is more likely to result in eutrophication and the death of the entire body of water. From this, we conclude that the juice running out from the pile of plants contains large amounts of organic materials. During degradation, lots of oxygen is consumed by micro-organisms (decomposers). Therefore, the liquid of this plant could affect a neighbouring water body negatively and increase the risk of eutrophication. 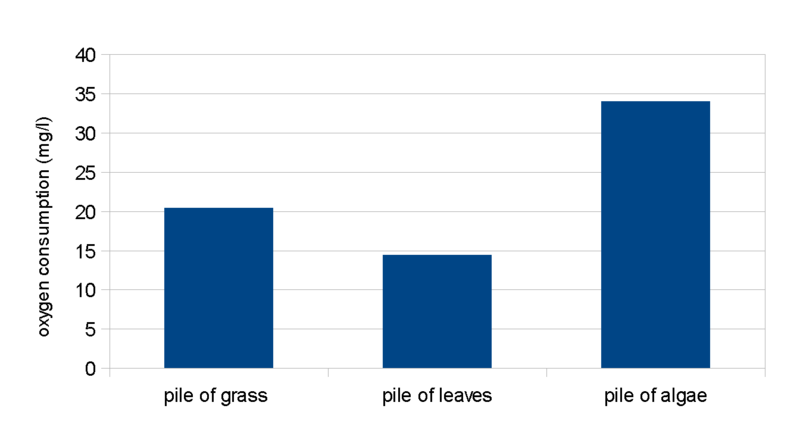 Furthermore, we have found that the BOD5 values of plant juice decrease with an increasing storage duration (Figure 4). BOD5 values of the water five metres away from the entry point where the water quality would not be affected by the juice of the plants (yellow column). 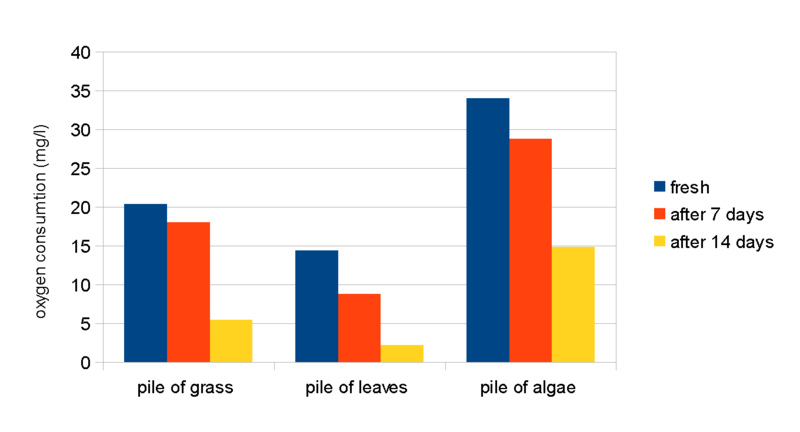 As Figure 5 shows, the algal mounds at the Lake of Elfrath have seemingly no effect on the value of BOD5 in the body of water. Both of the values measured in two locations in the water (at the edge of the pile, where the plant juice runs into the water, and a few meters away from the plant-liquid entry point) are approximately equal. However, the grass pile in Sollbrüggenpark seems to have an influence on the value of BOD5 in the water: the value at the edge of the pile is higher than at the measuring point several metres away. One possible reason for this difference is the distinct nature of each water body. 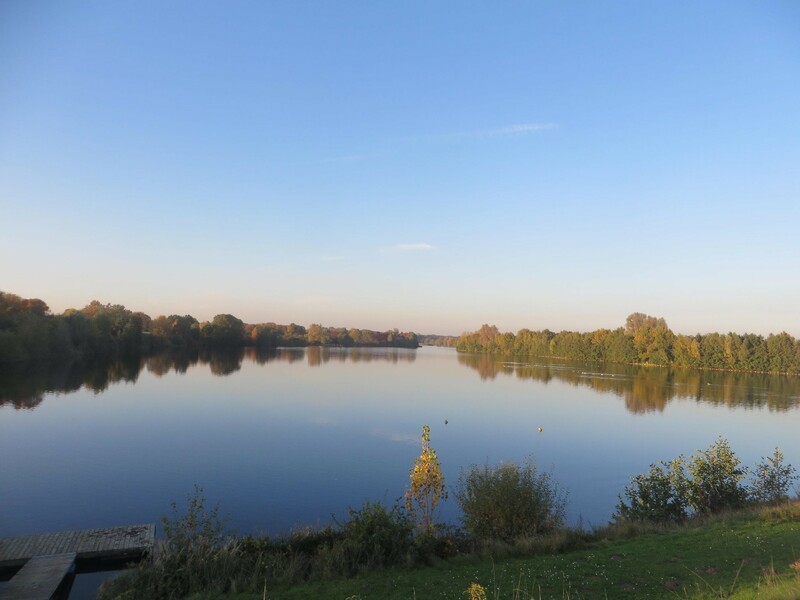 The Sollbrüggenpark is a small and flat pond which is neither moved nor mixed by the wind. The Lake of Elfrath is a large water body. The water of the lake is more or less constantly in motion, swirled by the wind. We probably noticed no effect in the Lake of Elfrath because our sample was constantly replenished by the fresh water currents. 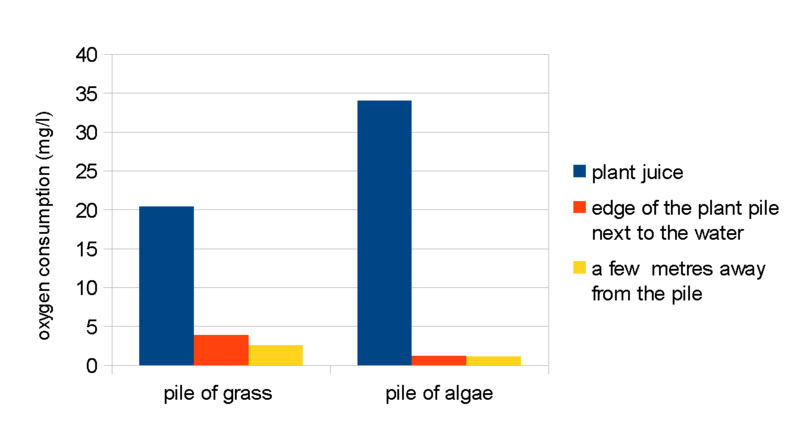 Overall, we have found that a pile of vegetation right next to a water body could adversely affect its water quality and eutrophication tendency. 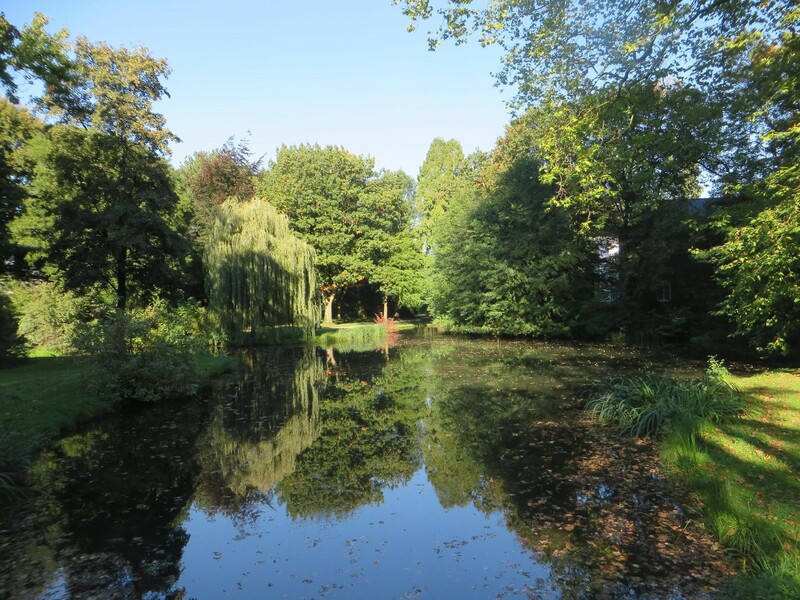 However, a practical influence was only noted in a small pond (in Sollbrüggenpark) and not in a bigger lake (the Lake of Elfrath). Even if the expected impact is relatively small, it seems advisable not to store plant remains in close proximity to water bodies. The pile of plants should either be stored several meters away from the shore until its removal, or it should be removed immediately. 1. ↑ Kalff, Jacob, Limnology. New Jersey: Prentice Hall, 2001. 3, 7, 8, 9. ↑ Schönborn, Wilfried, Lehrbuch der Limnologie [Limnology]. Stuttgart: Schweizerbart, 2003.